There’s no “i” in team and this is definitely one dynamic duo! 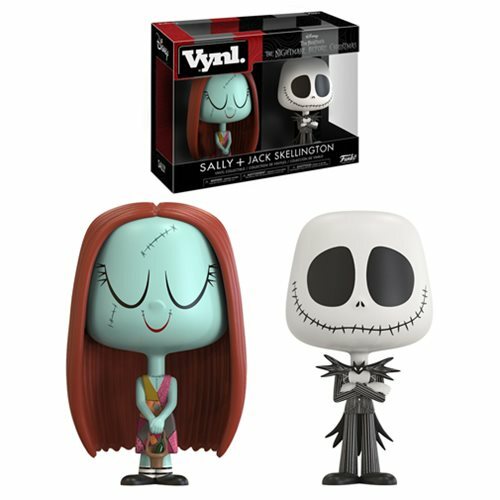 Jack and Sally are teaming up in this set of Vynl. stylized figures, bringing the two beloved characters together as vinyl figures. The Nightmare Before Christmas Jack and Sally Vynl. Figure 2-Pack comes packaged in a window display box and each figure measures approximately 3 3/4-inches tall. Ages 3 and up.